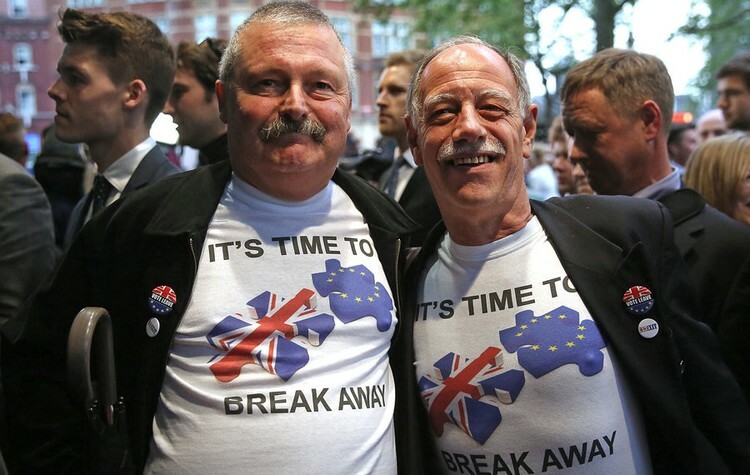 On June 23, 2016, a referendum (a vote in which everyone of voting age can take part) was held to decide whether the United Kingdom should leave or remain in the European Union. Leave won by 52 percent to 48 percent. The unexpected result generated widespread shock—no surprise, given the far-reaching economic and political consequences. What did take me aback was the vitriol directed at older voters, who were blamed in appalling terms. Headlines included: “How old people have screwed over the younger generation” from the Independent, and “EU Referendum Results: Young ‘Screwed By Older Generations’ As Polls Suggest 75% Backed Remain” in the Huffington Post, and “We Should Ban Old People from Voting” in GQ. Not content with racking up insurmountable debt, not content with destroying any hopes of sustainable property prices or stable career paths, not content with enjoying the benefits of free education and generous pension schemes before burning down the ladder they climbed up, the baby boomers have given one last turd on the doorstep of the younger generation. Here’s another take on the lifespan issue: these supposedly selfish and shortsighted olders will live through the short-term turmoil but not long enough to play a central role in the positive changes they envision, nor to benefit from them. Misguided or not, their vote is one of confidence in the vision and abilities of the generations that follow. Nothing matters more to most olders than the welfare of their children and grandchildren, and it is grotesque to propose that their interests and those of the generations that follow are inherently opposed. How about a closer look at the data that got people so worked up about this generational divide? In the 45-54 age group—not exactly “older people”—a clear majority voted for Leave, and even in the 35-44 age cohort, the numbers for and against differed only slightly. “You could in fact argue that the key shift occurred in the 45-54 age group,” the Age UK blog pointed out. The older voters were, the less faith they retained in the European Union. Nostalgia played a part in their decision but so did lived experience. These are the same people, after all, who voted to join the Common Market in 1975. More significantly, class, gender and race are all far better indicators of how people vote than age. The working-class vote in the north of England, traditionally loyal to the left, went against the EU; cosmopolitan Londoners leaned heavily the other way; along the coast that faces Europe, concerns about immigration generated a vehement vote to Leave. I happened to be in London at the time of the Brexit vote, and almost everyone I met voted to Remain. They were largely professionals with degrees, the characteristics identified by the Financial Times as most strongly associated with Remain voters. (In comparison, fewer of today’s olders had the chance to go to university.) The third strongest factor cited by the Financial Times was “not holding a passport.” The fourth was income (“areas with higher median incomes tended to lean Remain, whilst lower incomes leaned Leave”). Age and turnout came in fifth. The median age in an area was the strongest predictor of turnout and showed a familiar pattern—the older the median age in an area, the more likely it was to have had a high turnout. Liberal Democrat leader Tim Farron’s take on this was that “Young people voted to remain by a considerable margin, but were outvoted.” True, but only 36 percent of eligible 18- to 24-year-olds exercised their right to vote. The overall turnout was 76 percent. “Throw Granny to the wolves” headlines make good clickbait, and we shouldn’t be surprised when the media fans the flames. Prohibition, rock & roll, Vietnam, the environment—intergenerational conflict makes for a good story. This is the first time age has taken center stage in the political narrative, however, which is a troubling harbinger. It is critically important to see these headlines for what they are: a distraction from the underlying issues of social and economic inequality that affect the 99 percent—younger workers scrambling for a foothold in the global economy and olders stranded and stigmatized by the same forces. As the 1 percent grow more ruthless in their efforts to maintain the status quo, we can expect more of the same. In anxious times, we look for scapegoats. But blaming the Brexit on old people is more than reductionist and misinformed. It obscures the origin of the underlying discontents with global capitalism, which profits by pitting us against each other: black factory workers against white ones; working mothers vs stay-at-home moms, old against young. It legitimates austerity measures. It ignores class differences and the racism and sexism that also oppress us. We need a radical age movement now, to add ageism to that sorry list, to mobilize against it and to make common cause against the forces that oppress us all.